Experience Bedfordshire's wildest day out! ZSL Whipsnade Zoo is a big day out on an altogether different scale. Explore the sights, smells and sounds of the UK’s biggest zoo and meet some of the largest animals on the planet, including our herd of Asian elephants in their brand new home. With over 2,500 amazing animals to discover, as well as daily live talks, there are loads of reasons to visit ZSL Whipsnade Zoo. Plus your visit supports ZSL's work to protect and conserve wildlife in over 50 countries around the world. 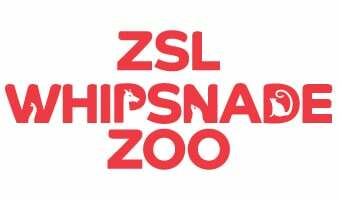 Book online at zsl.org before midnight two days before your visit to receive 10% off standard gate ticket prices (i.e. Before 23:59 GMT on Thursday to visit Saturday). Tickets bought within two days of your visit will be charged the walk-up gate price.